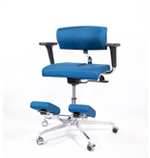 The Komfort Hernia Chair is a type of Postural Seating Device specifically designed for those who spend most of their time seated. 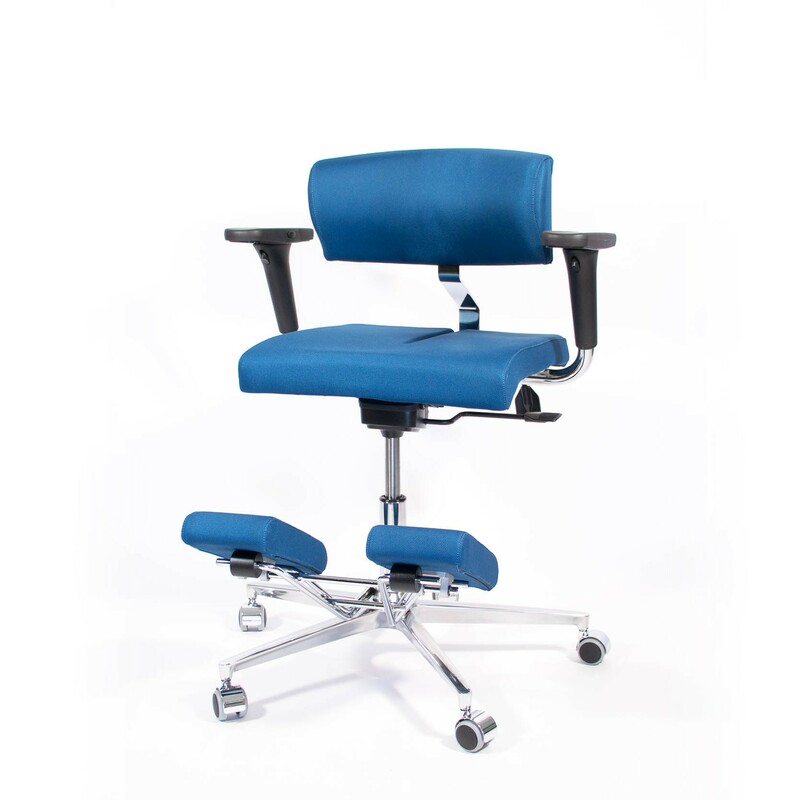 Thanks to its innovative structure and the shape of its seat back, the chair can reduce excessive back and lumbar tension. 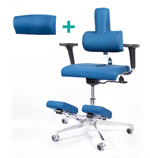 It helps your chest to expand, increasing your back support and creating a feeling of relaxation in the abdominal area. Your body will naturally keep a correct posture that doesn’t strain the muscles and the cervical area. 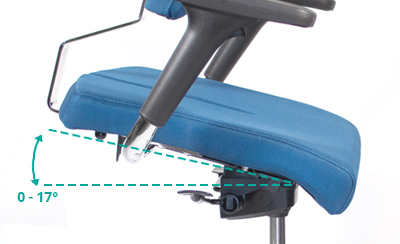 Unlike most chairs an adjustment period is needed but after the first week of use, you will feel the chair’s benefits and enjoy a correct posture that respects the natural curves of your back. 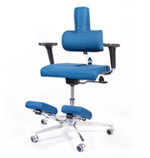 The seat back has been designed to maintain a proper posture in the event of hernia both before and after surgery. 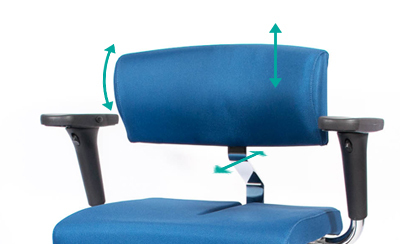 The seat back is adjustable in height, depth and tilt between 0 and 15cm and does not require an extra pillow. 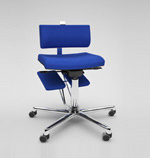 The seat back is concave and wrap-around, making it very useful in the event of scoliosis. 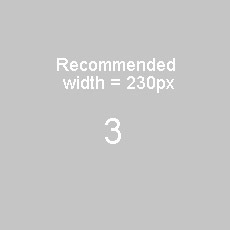 (Always ask for medical advice before use by showing the medical sheet). 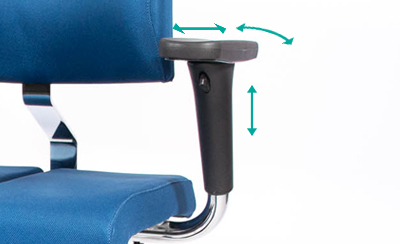 The knee rest can turn all the way around the seat. 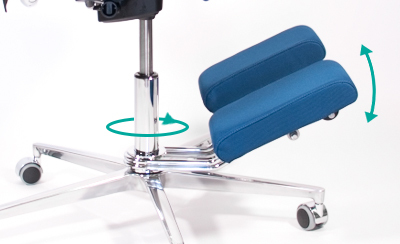 It can be used to rest both knees or one foot at a time, and can be set in two adjustable positions. With the block removed, it can move freely to follow the position of your legs.